Our fragility when it comes to a world class striker is something, we’re all hoping the club addresses during the January transfer window. But just who might put pen-to-paper is a subject that continues to generate numerous column inches. In the last thirty-six hours media speculation has thrown two names into the mix, one a familiar one but one not so familiar. The familiar one is that of Gonzalo Higuain. Speculation, as reported by us, Click Here, had suggested that a deal could be on the cards. However, it may all not be as clear-cut as it seems. 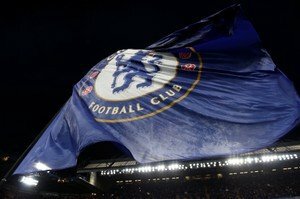 Nestling in the pages of the Standard, is the inference from the AC Milan director of sport, Leonardo, that Chelsea have not exchanged views with his club about doing a deal? However, with Higuain merely on loan at AC Milan, from Juventus, could it be the Turin based club that are calling the shots? The not so familiar striker linked with a move to Stamford Bridge is Hirving Lozano. The 23-year-old is on the books of the Dutch club PSV Eindhoven. A Mexican international, Lozano is said to be one of Maurizio Sarri’s top targets but, at just five feet nine inches, he’s described as a winger as opposed to a striker which, to me, doesn’t fit the criteria for what Chelsea currently needs. Let’s wait and see what tomorrow brings shall we? Odoi hudson has a future in chelsea, he should not be sold. Please, do not sell Odoi. Thanks. odoi has a bright furure in chelsea. please he stays at the blues. Please don’t sell odai. Buy a good striker Morata off!!! I think it’s better not to sell odoi…. For good & better future ahead, think twice. Please never have it your plan Mr sari to sell the future players learn from the past. Let morata go CFC must qualify for champion league next season.